Born September 23, 1924, St. Louis, Missouri. Ht. 6' 2". Wt. 185. Throws right. Bats right. 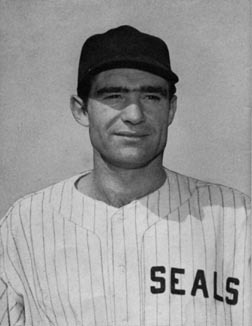 Entered pro baseball, San Francisco Seals, Pacific Coast League, 1944; inactive, 1945; San Francisco, PCL, 1946. Restelli played in only a few games in 1946.